Choosing between ButcherBox and Kansas City Steaks, you are faced with a rather difficult task. Both services have unique qualities that make them highly popular among hungry customers nationwide. However, that does not mean that the choice is impossible to make, as one of these services does have a bit more to offer. 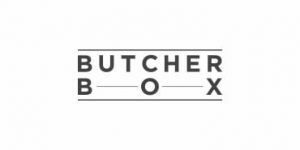 Our ButcherBox VS Kansas City Steaks comparison below allows you to discover what it is that makes these two services different from each other, as well as which one constitutes a better choice. Since 1932, Kansas City Steaks has been providing some of the best meat Kansas has to offer. Enjoy premium beef cuts, Berkshire pork, grass-fed lamb, delicious poultry and seafood, and gorgeous meals and desserts. Shop at your leisure, with no minimum order. Kansas City Steaks online shop features premium-quality beef, pork, lamb, chicken, and turkey. It mainly provides the most popular, quality cuts like filet mignon, ribeye, top sirloin, pork chops, leg and rack of lamb, chicken breasts, and whole turkey, as well as hickory-smoked hams and bacon. It does not provide products such as organs and bones. Kansas City Steaks focuses on high-grade meat, such as USDA Prime and American-style Kobe beef, Berkshire pork, and grass-fed lamb, turkey, and chicken. Kansas City Steaks provides a variety of extras, including seafood, gourmet meals, side dishes, appetizers, and desserts. Kansas City Steaks does not source its meat from family-owned farms and ranches but instead cooperates with the most reputable stockyards in Kansas. Kansas City Steaks allows you to shop without any commitments or minimum orders. If you prefer receiving regular shipments, you can opt for auto-delivery that can be canceled anytime or join one of the company's gift clubs. One-time orders can be canceled at least 3 days prior to the scheduled shipping date. Kansas City Steaks offers a 100% satisfaction guarantee. If there is something wrong with your order, you can get a replacement or a refund. For quality-related issues, you should contact the support staff within 45 days. Shipping-related issues should be reported within 10 business days after delivery. Kansas City Steaks charges $14.95 for shipping for one-time orders within the continental US. Shipments to Hawaii and Alaska come with an additional $30 fee. Shipping is free on auto-delivery, gift certificates, and seasoning packets. Kansas City Steaks delivers to all 50 US states. There is not much not to love, everything is there, the convenience, the variety, you can buy as much as you want, it's all great, but I don't order regularly because I can get pretty good meat for much less, so I only order when I'm craving something I can't find at the nearest store. Excellent quality but I usually spend a bunch of time looking for something that is affordable enough after I factor in the shipping fee. They could offer larger discounts, at least from time to time.